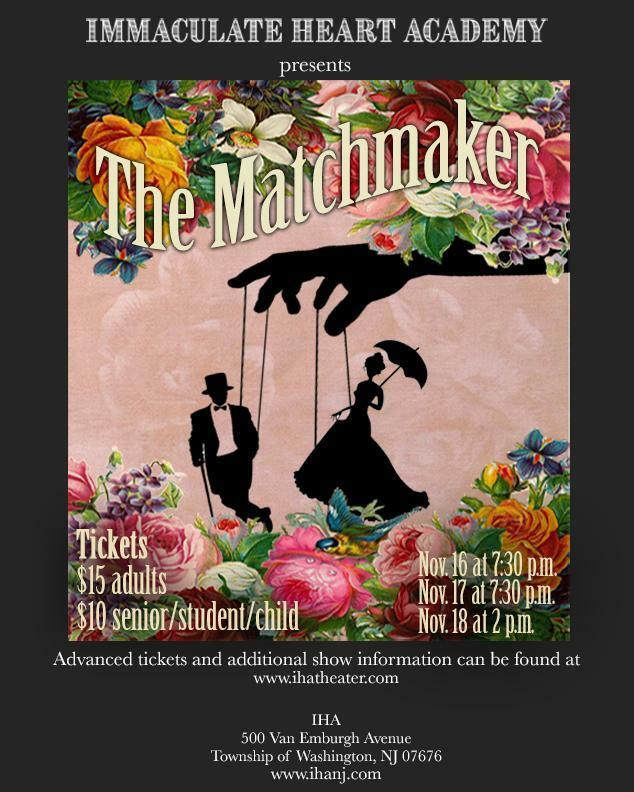 This November, IHA will proudly present The Matchmaker by Thornton Wilder as our inaugural fall drama. Artistic direction is by Ms. Maureen McNulty, IHA English and performing arts teacher, and production is by the IHA Theater Arts class. Students will lead the lighting and sound design. For more information or if you have any questions, please visit www.ihanj.com or contact Ms. McNulty at mmcnulty@ihanj.com. While we used to present our drama in the spring and our musical in the fall, we recently announced the switch. This move was made to better suit the needs of the entire performing arts season, and to enable students’ eligibility for recognition and participation in programs from which the previous calendar excluded them. Click here for the Ad Journal Form.